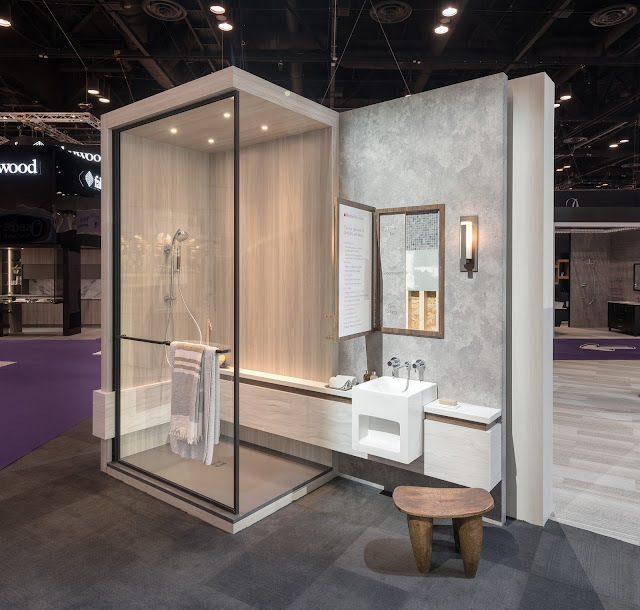 If you LOVE innovations and technology , this was the year to be at KBIS in Orlando , Florida . This year there were hundreds of brands showing off their latest and greatest more so than any other year I've been. Wilsonart was one of those brands. One of the never before seen products they introduced was this innovative product with it's water resistant wet wall panels which provide no grout , easy alternative to tile. The concept if very cool , you can install over tile over drywall and over studs. Their products are aesthetically really pleasing . If you are looking for low maintenance with luxury on a budget , this is the product for you . Blending existing styles and colors with newer styles and colors in a cohesive way can be challenging. 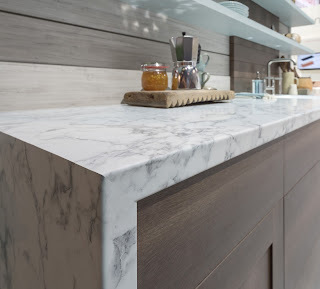 Two new trend-forward premium laminate designs featuring AEON™ Enhanced Scratch & Scuff Resistance Technology, Drama Marble and Praline Antico, blur the lines between past and present, and coordinate well with nearly any cabinet, appliance or décor, breathing new life into the story of your space. The new Soft Silk (-21) laminate finish is more than a stunning ultra-matte surface. This new finish is incredibly soft and smooth with a silky touch. Seven luxurious stone designs will feature the velvety finish. 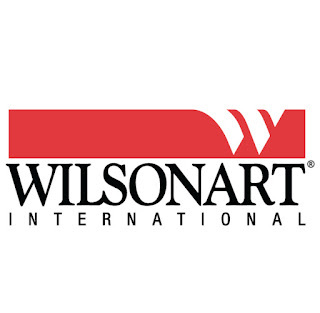 Visit www.wilsonart.com/finish-options to learn more. 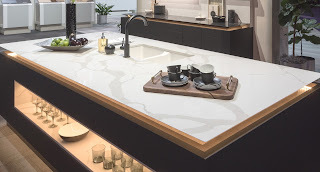 You may or may not know that Wilsonart also offers Quartz and Solid Surface materials Check them out for your next Affordable Luxury Kitchen . 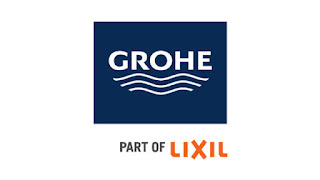 LIXIL was another one of our sponsors who represents American Standard - they have been a favorite for years. What I loved about their NEW products is that they are not only innovative they are sustainable. First on the market to think about water preservation with this unique… American Standard BEALE Measure Fill kitchen faucet that dispenses precise volume of water on demand. No more filling up your measuring cup and dumping water until you have exactly 2 cups, or 4 cups , etc... THIS faucet does the calculating for you ! 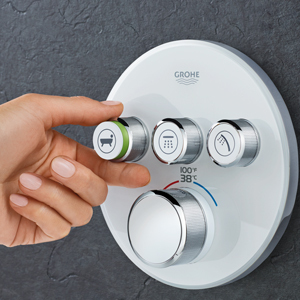 Immersing oneself in a new dimension of showering – this is what GROHE SmartControl is all about. 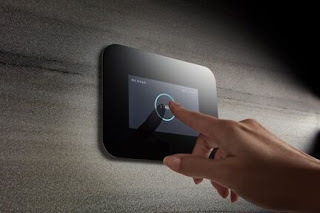 The “Push, Turn, Shower” experience has become even more multifaceted, thanks to a new model and combination options being added to this popular line of smart shower controls. This was a fan favorite among the interior designers I was with .... these "free standing (3 sided) tubs" they have a flat backside ! Do you know how great this is ? This is perfect for those installations where you want the look of a freestanding tub but you need to put up against the wall for space saving situations or simply the aesthetic of the room . They come in Traditional , Transitional and Contemporary styles. Tell me , is this something you can see using in your next project ? Please leave a comment and tell me your thoughts. Although my trip was paid for by these wonderful sponsors my comments and opinions are my own. I was invited as an influencer interior designer and feel very proud to offer my opinions and feedback on these products that I've highlighted. This is only a fraction of all their wonderful products. Please take a moment to look them up and spec some of these wonderful new innovated products. You can not go wrong, these companies have been around forever. Just because you have a small bathroom to renovate doesn't mean you can't have luxurious amenities... Like a Mr. Steam unit , in fact .... You SHOULD incorporate them to make up for the lack of space. Here is one of our projects where we didn't let the size of the bathroom hold us back from creating a Spa retreat for our client. Adding a Mr. Steam unit with aroma therapy was as must. It is not only a health benefit , it also instantly increases the equity of your home , so it's a win, win. Not to mention the luxury of having a "spa" at home. 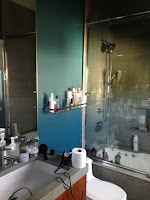 Bathroom Design by : Erica Islas, EMI Interior Design , Inc. There are SO many other benefits and reasons why a Mr. Steam unit is a MUST in your next renovation...check out this link here and see all the benefits for yourself. 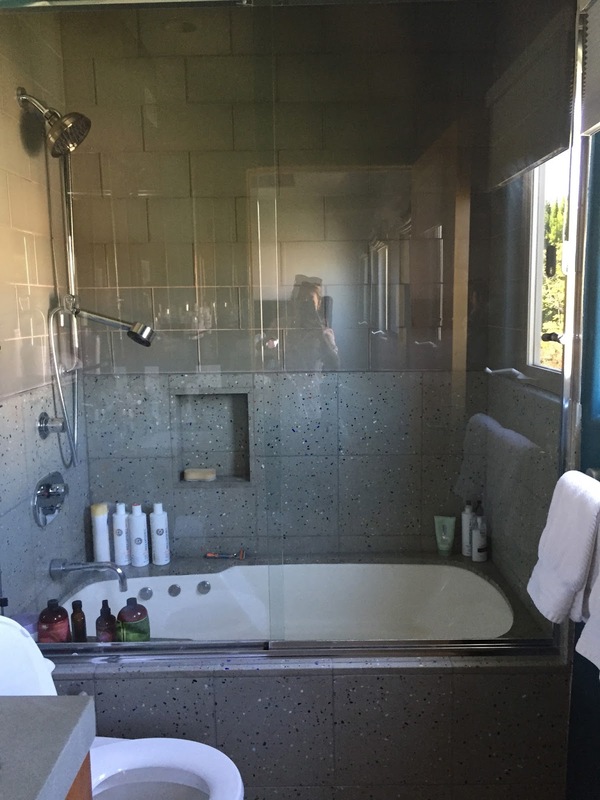 This photo below shows you a BEFORE PHOTO of the renovated bathroom with steam unit above , we did push wall back 18" simply to get more counter space at the vanity , but the shower/ tub area stayed the same 36" . Having a steam unit is one thing.... having aromatherapy with it is even better .... BUT Mr. Steam units don't Stop there.... You can also have Chroma Therapy system and also add Audio system . Best part is you can control from your smart phones. We just finished a project using the Audio System with Mr.Steam in shower ceiling speakers ( which we will be photographing soon) and our client can not get enough of their new bathroom. We have given them a fully customized home sanctuary . As Mr. Steam describes on their website and gets into the history of it .... "Our contemporary need to find a tranquil escape in steam has extensive and long-standing roots". With latest the technology and advancements in plumbing , it is now so much more readily available to us ... literally at our fingertips. Of Course you DON'T have to renovate a bathroom to add a Mr. Steam unit , in fact... you can simply add one to an existing shower ..... That's my next project ...so I can show you in another blog post how easy it is. Want to try out ? Use their Virtual Spa to see what it takes to get yours. 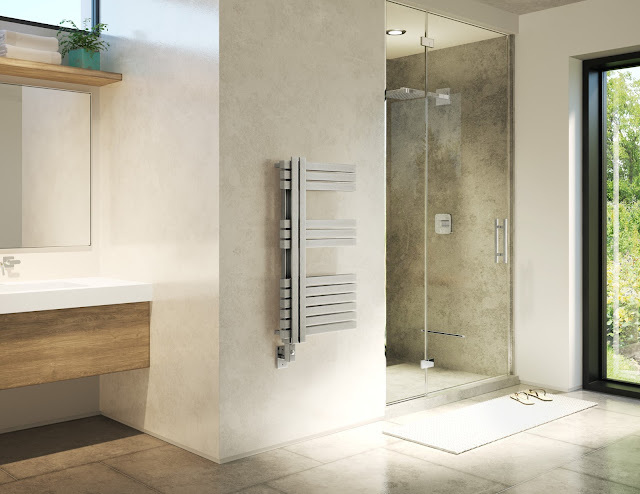 The Towel Warmer Collections from Mr. 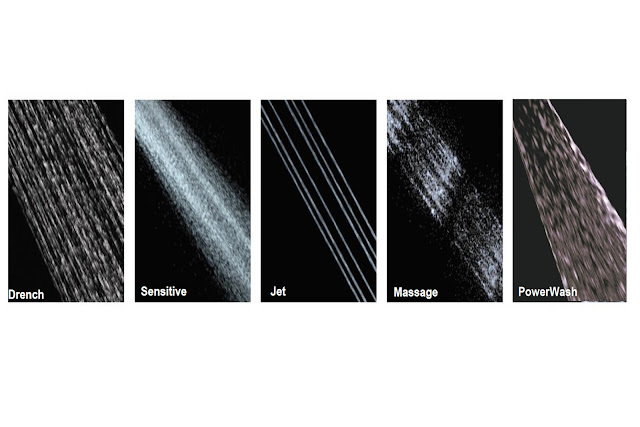 Steam is available in a variety of dimensions and finishes. This new one from their Lexington collection, it has wider bars to extend warmth on towels, it's the perfect enhancement for contemporary spa bathrooms. 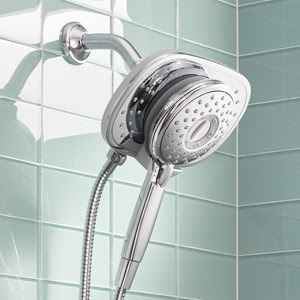 Comes with a digital timer allowing for convenient pre-start and automatic shutoff . Mr. 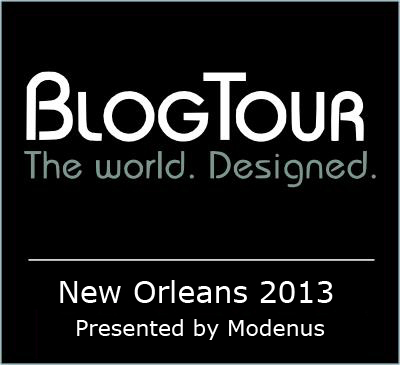 Steam is one the sponsors for Modenus BlogtourKBIS Orlando . I was very thankful to be included in this sponsored trip . I have always been a BIG Fan of their product and have been using it since I started in the design industry 20 something years ago . So I write this blogpost from first hand experience because I LOVE their product , NOT because they are a sponsor. I have spec'd their product many, many times and all my clients have been very pleased. I LOVE everything they do and stand for . WE LOVE Mr. Steam, because they make us all FEEL GOOD ! It's a Great Big Beautiful Tomorrow - The Start of a New Era. Attending KBIS this year totally reminded me of The Carousel of Progress at Walt Disney World. 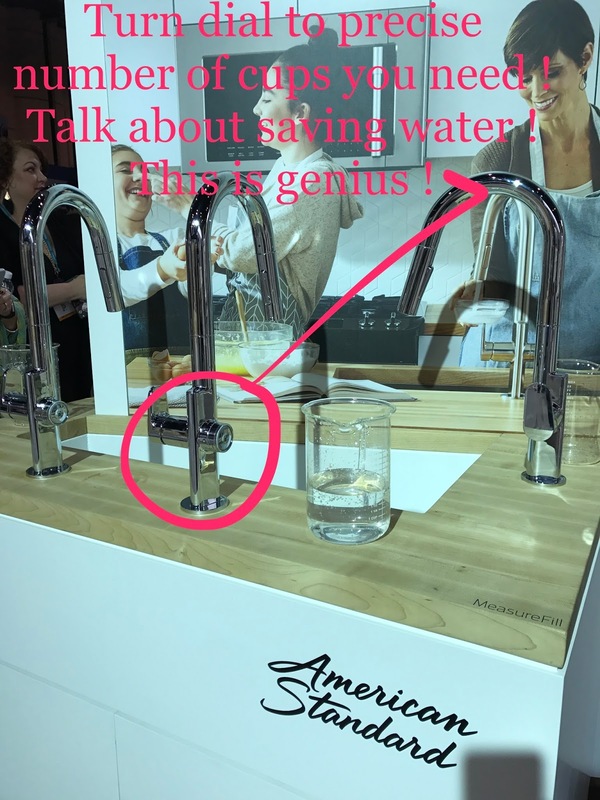 I just can't believe All the technology and product Innovations that have developed since the last time I was at KBIS 5 years ago. 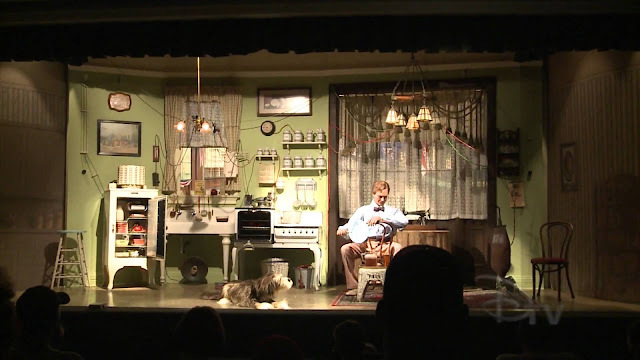 We are there .... the Future as seen in the last scene of Carousel of Progress- the age of Voice Activation, touch screen and Wi-Fi Connectivity. Thermador , One of the Sponsors for Modenus Blog Tour KBIS2018, had over 300 new products to debut, I will only highlight a couple on this blog so go check them out for yourselves after reading my highlights. I will be doing another blogpost soon to cover the other brands that showcased all these wonderful new technologies and innovations in Kitchen appliances too, so check back with me soon. 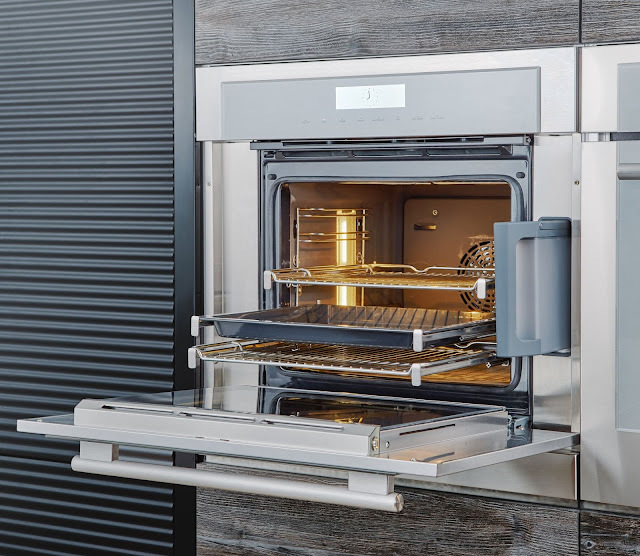 empower them to get the most out of their Thermador suite. CHECK OUT THIS VIDEO below TO SEE HOW IT ALL WORKS WITH VOICE ACTIVATION. Let's say you found a great recipe... with Home Connect you can Send the appliance and temperature settings straight to your oven! You can now simply follow the step-by-step instructions for the correct method and perfect results. Season your dishes with fresh herbs and spices, and discover all manner of tips on how to use herbs, spices and ingredients. You can also give your appliances a voice commands using Home Connect with Amazon Alexa to turn them on , off , etc... Isn't this so Neat ?! It's also really convenient! We all have busy mornings ... imagine this "Alexa, tell Home Connect coffee machine to make a cappuccino." You can use this and many other commands to easily control your Home Connect coffee machine. Which means that you have your hands free to do other things. I personally think this is a great feature for the Aging in place design that is so prevalent in our design industry today. 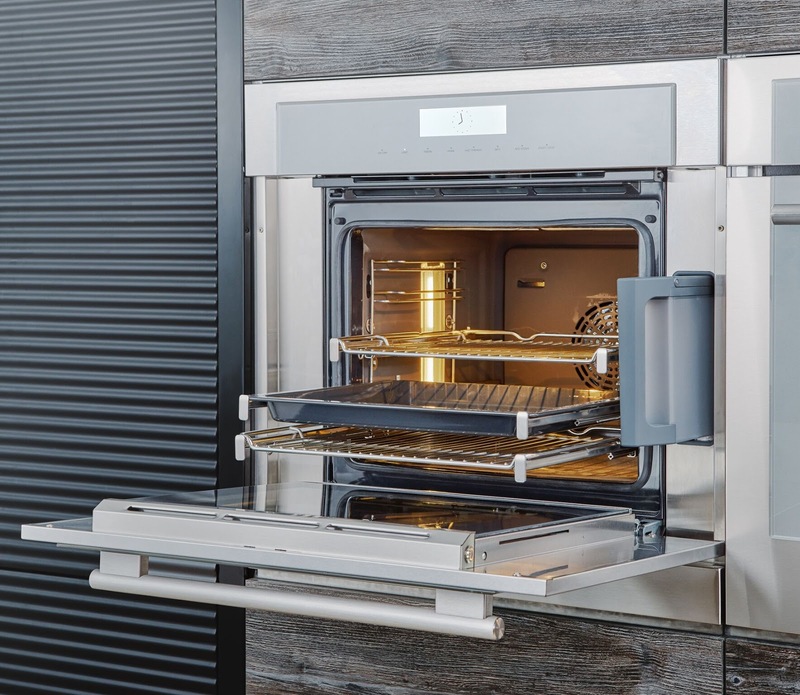 The Thermador collection of ovens include: Thermador Connected Experience by Home Connect Cook smarter with Remote Start and mobile notifications that let you know when your food is hot and ready to enjoy. Aside from the great technology, I LOVE the flush install , vertical alignment , no trim , sleek look of the Masterpiece series with the metallic glass . The new Freedom induction cook top was another item they debut . It is the largest cooking surface on the market... with great features and accessories like the teppanyaki griddle ... Check them out here. 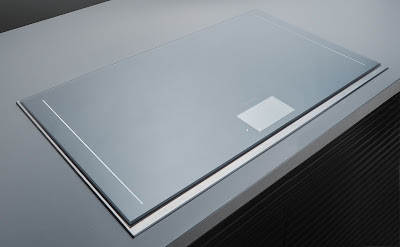 A perfect complement to the sleek, intelligently designed Thermador cook tops, Masterpiece Series Ventilation seamlessly blends into any kitchen aesthetic. 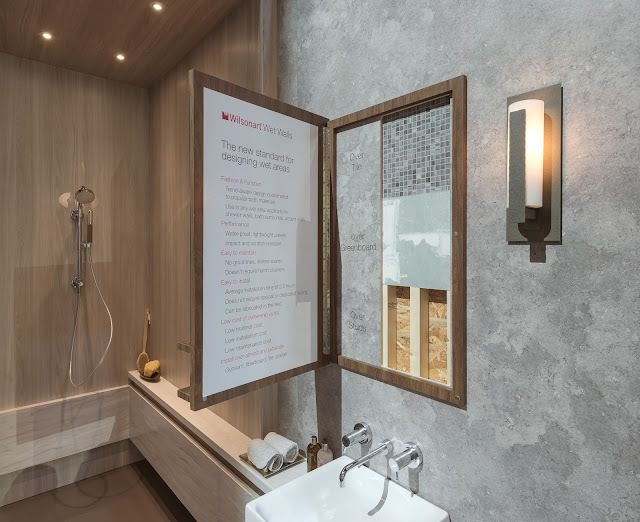 Features : Noise Control Technology, Thermador Connected Experience by Home Connect offers added flexibility and personalization, so you can program custom functionality like delay shut-off, mobile notifications, lighting adjustments and more using the mobile app. Performance Pairing Feature : Thermador Masterpiece Series Ventilation is specifically engineered to work with Thermador cooktops. 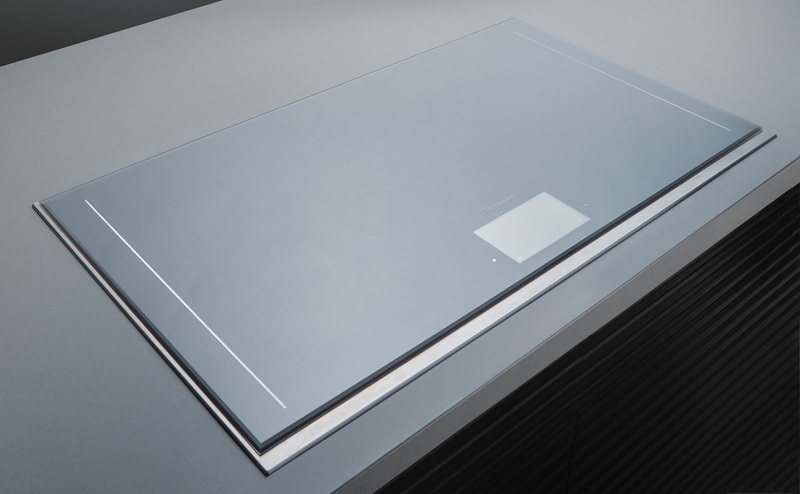 Cooktop Hood Sync Offered with Freedom Induction cooktops. When they are paired: The hood light automatically turns on when the cooktop is turned on. The Entertainer’s Dishwasher features a gentle cycle that won’t break or damage glasses, with a no-slip, soft rubber lower rack and adjustable stands specifically designed to keep stems secure. The Specialty Glass Dishwasher allows you to wash up to 26 large wine glasses or even more smaller ones at once. 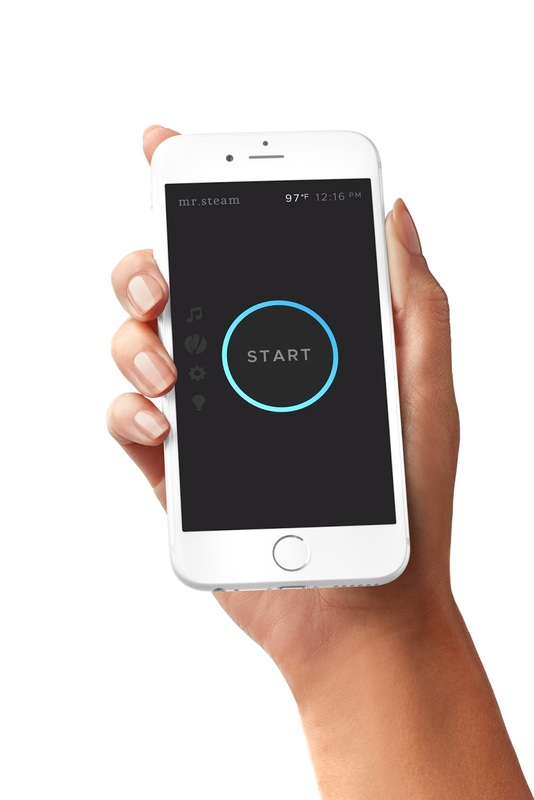 Easy Start Function Control of appliance through app. Let's face it ... we live in a world where APP simplify the way we do things. Refrigeration with Thermafresh system , push assist and self close was another favorite . 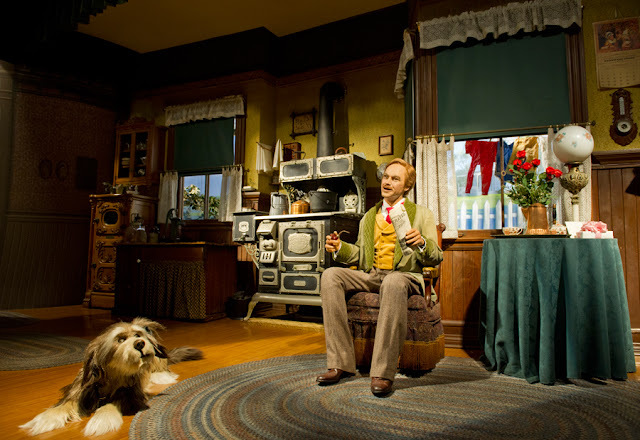 .........Now Getting back to my story about Walt Disney's Carousel of Progress , the imagineers on this attraction take us on a journey thru time in a series of vignettes /sets which show an American Family in their home ( thru animatronics) while noting the changes in innovations and technology as the carousel rotates around the stage and they move onto different eras all while the song "It's a Great Big Beautiful Tomorrow " plays from scene to scene. First scene is set in a kitchen pre-electric era 1900's where you have a cast iron stove and an ice box... then it moves to the 20's same setting with updated appliances....40's was beginning of the electric era, Now the scene has a electric appliances , lighting , a TV, and it continues to move thru time until last scene where you are in The Future ... The 21st century . 40's scene Photo from Internet - couln't find photo credit. In the last scene the family is shown in the Kitchen and Living room Mom is at the computer , kids and Grandma on video games with VR, Dad is cooking in a modern Kitchen with voice activated wall ovens.....the Future is push button living and voice activated . Well that's exactly where we are now my friends.... Voice activated lighting controls, appliances, TV , phones and all sorts of technological advancements. 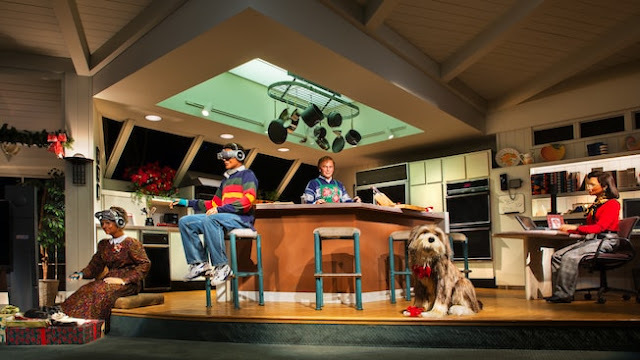 When I saw this attraction for the first time a few years ago, I remember thinking to myself " that would be so cool if Appliances were voice activated" But I didn't think technology would be moving so quickly in this direction with appliances , BUT I stand corrected, technology is moving fast in the Kitchen industry as well . SO excited about the future in Kitchen appliances. I'm getting ready to re-do my own Kitchen soon and excited to incorporate some new innovated products from these wonderful brands who are so forward thinking. WHAT WILL THEY THINK OF NEXT ???? Lastly , I'd like to mention how gracious our Sponsor was ... Not only did Thermador (along with other sponsors including KBIS) paid for flights, hotel accommodations, some meals, for this KBIS trip I was on with 24+ other influential interior designers and bloggers from around the world, THEY also threw an EPIC party! The food stations were insane! SO good! Full hosted bar and THE Entertainment.... ONE REPUBLIC! It was THE Party to be at. Had SOO much fun ! Thank you Thermador for always taking it up a notch ! Excited to have been there for the unveiling of all your products. 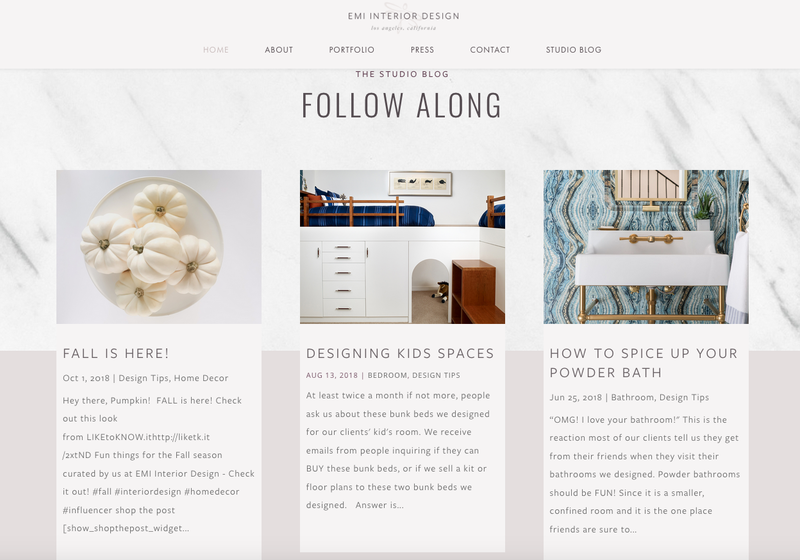 More Links About EMI Interior Design, Inc.